Although the school of behaviour therapy evolved empirical treatments for the management of schizophrenia, it chiefly focused on social skills and behavioural disturbances (Meichen-baum, 1969). Moreover the behavioural work was dominated by operant reward systems through external reinforcers, both positive and negative. This was an acceptable option in the 1970s. In the postmodern era this began to be seen as mechanistic with no reference to the patient's own attitudes and inner experiences. As management of schizophrenia shifted to the community, there were serious concerns whether the reinforcement-based improvement would generalise to the community settings. Unfortunately studies were not devised to answer this issue. The cognitive behavioural approach, with its success in the management of depression and anxiety disorders (Department of Health, 2001), soon turned its focus to schizophrenia. It had the advantage of collaborative relationship and shared formulation of the patient's problem based on common sense. Most importantly, it de-stigmatised psychosis by giving due importance to the patient's perspective (Kingdon & Turkington, 1994) on the experience of psychosis - the sufferer now had a say. Cognitive behavioural and family work could all be woven into the work with the individual (Kuipers, 2000). The first account of use of a cognitive approach to delusions was described by Beck (1952) in the treatment of a patient with a seven-year history of a paranoid delusional system. Beck used a Socratic approach to reality test his delusional belief. Since then, and particularly after the late 1980s, several trials have confirmed the efficacy of CBT in treatment of psychotic symptoms (Pilling et al., 2002b). There are specific effects on reduction in the intensity and frequency of positive symptoms, reduced drop out rates and reduced distress associated with symptoms. Cognitive behaviour therapy for schizophrenia uses a wide variety of approaches. Turkington et al. tested the patient's attitudes and reactions to their psychotic experiences and used a normalising rationale (Turkington & Kingdon, 1991). This led to an improved working alliance and reduced stigma. Evidence to support or refute psychotic experiences was examined by peripheral questioning and reality testing leading to the development of less dysfunctional explanations. Underlying assumptions are then examined through a process of Socratic enquiry and homework tasks. The normalising strategy also uses inputs from members of staff and family. They demonstrated that with a 10-day training in CBT for psychosis, community psychiatric nurses were able to deliver this package, under supervision, in community settings (Turkington et al., 2002). This approach makes therapy feasible in general psychiatric settings. Specific cognitive work on delusions using engagement, Socratic enquiry, reality testing, reducing emotional and behavioural investment have been described (Turkington & Kingdon, 1999). Hallucinations are dealt with by exploring and testing out beliefs about hallucinatory experiences (Kingdon & Turkington, 2002). A wide variety of behavioural techniques like distraction, monoaural occlusion, coping skill enhancement and relapse prevention strategies (Haddock et al., 1998) are also used in CBT for schizophrenia. The CBT therapist establishes an empathic, non-threatening relationship with an investigative attitude towards symptoms. Symptoms are not seen as abnormal per se, but linked with distress and beliefs about them. The therapy then moves to the examination of beliefs, reattribution and behavioural experiments. There is evidence that the gains made through cognitive therapy are durable at least in the medium term (Sensky et al., 2000). However, adequate evidence does not exist to support the view that CBT can reduce relapse rates in schizophrenia except when a specific focus is taken on relapse prevention (Gumley et al., 2003). This can be explained by the fact that patients enrolled in the majority of CBT trials have chronic or treatment-resistant symptoms and relapse rates are not meaningful measurements or outcomes. A reduction in re-hospitalisation is a possible benefit of CBT (Bach & Hayes, 2002) as patients have often learned techniques to aid quicker discharge. Cognitive behaviour therapy may also hasten recovery from acute psychotic episodes (Drury et al., 1996; Lewis et al., 2002), although one study (Haddock et al., 1999) did not show any benefit. More research is needed in this area. Cognitive behaviour therapy is emerging as a useful mode of therapy in treatment-resistant populations. Recent evidence shows that CBT and family approaches may target both symptom reduction and relapse prevention (Sellwood et al., 2001). There is initial evidence that CBT could be formulated to work on negative symptoms of schizophrenia (Sensky et al., 2000). Duration of therapy has not been defined clearly but it would appear that CBT for psychosis may require more sessions than that for anxiety and depression (Turkington & McKenna, 2003). The outcomes appear to improve with longer duration of therapy (Pilling et al., 2002b). Kemp et al. (1998) demonstrated the role of CBT in improving medication compliance but the evidence in this area is not definitive (O'Donnell et al., 2003). Cognitive behaviour therapy is the latest entrant in the arena of evidence-based treatments for schizophrenia. Most of the trials have small sample sizes, which prevents definitive conclusions as a recent systematic review (Jones, 2004) noted. However the strengths of CBT trials are that they have focused on the chronically unwell patients and provided a longer period of follow up compared to drug therapy trials. More work needs to be done to verify the utility of different techniques of CBT in different populations of patients, such as those with negative symptoms. Turkington & Kingdon (2000) showed that it is possible for psychiatrists to deliver CBT for schizophrenia within their practice settings; however, the study psychiatrist was also an experienced therapist. For service development, CBT is an attractive health economic option: the therapist trained in CBT will be able to deliver interventions in a wide variety of other mental health problems where this particular therapy has been recommended (Department of Health, 2001). The challenge is to make therapy available in community mental health teams rather than confine it to specialist centres. Studies have shown that episodes of psychosis are preceded by prodromal symptoms (Lehman et al., 2004) but these symptoms do not always lead to relapse (Herz & Lamberti, 1995). The rationale of relapse prevention is to intervene in the prodromal stage to prevent progression into a full-blown psychosis. The typical approach is to construct a relapse signature, which is specific to the particular patient (Birchwood et al., 1989). A plan of early detection of relapse signatures along with intervention constitutes the full programme of relapse prevention approaches. Controlled trials have shown effectiveness of this approach (Lehman et al., 2004), but this area begs well-designed, randomised controlled and pragmatic trials to advise on the applicability of this intervention in the comprehensive management of psychosis. As the onset of schizophrenia is often marked by prodromal symptoms (Yung & McGorry, 1996), proponents of early intervention state the case for treatment in the pre-psychotic phase. Early intervention also offers the premise that such a treatment would alter the natural course of psychosis. However prodromal symptoms do not necessarily progress to psychosis (Miller et al., 2002; Yung et al., 1998) and there is the immense complexity of carrying an epidemiological study to show advantage of such an approach at a population level. By targeting high-risk individuals with a family history of psychosis, researchers (McGorry et al., 2002) did a randomised open label study to show reduced incidence of schizophrenia. The package involved medication and CBT. This study did not inform whether combined treatment has an additive effect. It did highlight the potency of the combined treatment in delaying transition to psychosis. McGlashan et al. (2003) showed positive effects with use of second-generation antipsychotics in a study with random assignment to treatment and control group. Very recently Morrison et al. (2004) performed a controlled study using CBT in high-risk individuals. The findings are positive and this area needs further study. However, the current level of evidence is not sufficient to advise treatment of prodromal symptoms in routine clinical practice (Marshall, 2003). 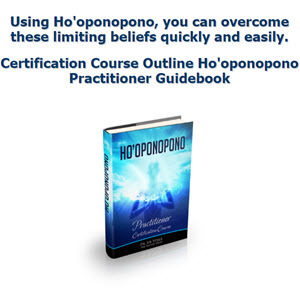 Get All The Support And Guidance You Need To Be A Success At Your Personal Power. 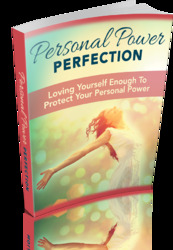 This Book Is One Of The Most Valuable Resources In The World When It Comes To Loving Yourself Enough to Protect Your Personal Power.